This research focuses on the importance of digital marketing as a skillset for existing marketers and new marketing graduates. George Day (2011) comments that [marketers’] “strategies are not keeping up with the disruptive effects of technology-empowered customers; the proliferation of media, channel, and customer contact points; or the possibilities for microsegmentation. 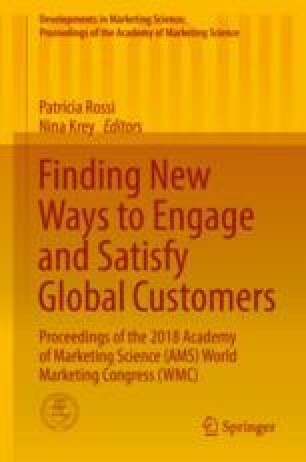 Closing the widening gap between the accelerating complexity of their markets and the limited ability of their organizations to respond demands new thinking about marketing capabilities” (p. 183). Indeed, the dearth of relevant training in digital marketing skills is evidenced by a growing skills gap and value gap between marketers with established knowledge and experience in digital marketing and those who have not had the opportunity or inclination to incorporate digital marketing into their skills base (Royle and Laing 2014). This increasing skills gap begs the question as to the relevance of digital marketing as a necessary skills set for marketers and what can be done by training institutions to close the skills gap presented. To answer this research question, two studies were completed: Firstly, a multi-method approach was employed to establish what skills were deemed necessary by marketers, their employers, and their clients. From here a second study established the exact manner in which marketers looking to upskill would like to learn new skills and practices. Implications for marketing organizations and managers wishing to benefit their client base with digital marketing solutions are provided as well as contributions to our understanding of how best to enable digital marketing skills to be taught to a varied population base looking to upskill.